You won’t find numerous developments here like those found in Jaco and Tamarindo, and that’s exactly how residents want to keep Papagayo. Isolated and exclusive, the area has only recently been made more accessible to tourists and potential new residents. The opening of a Four Seasons Resort has paved the way for some high-end private real estate developments. Besides the estates available through the Four Seasons, you’ll also find a handful of beachfront homes, condominiums, and lots for sale. Luxury homes are the focus of Papagayo real estate and along the Golden Coast. Investing in Costa Rica can be done in good conscious in this environmentally protected area. Villas are available to rent and the most common type of vocational rental in Papagayo. 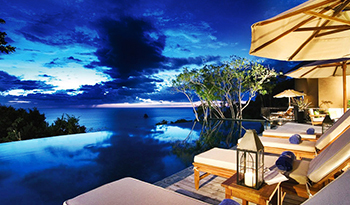 You’ll find everything from three-bedroom beach front villas to five bedroom houses overlooking the rainforest. No amenities are spared. 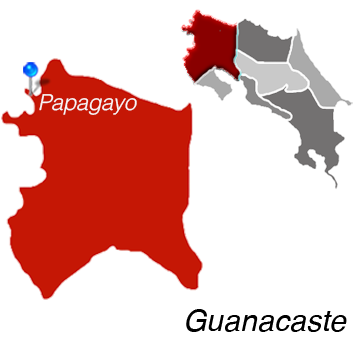 Papagayo is Located in Guanacaste.